KUALA LUMPUR — A spike in forest fires in Riau province sparked a warning yesterday from Indonesia’s disaster agency that haze could spread to Singapore and Malaysia. The agency tallied a rise in hot spots from 97 to 366 in the province over a one-day period, AFP reported. “The likelihood of the smog reaching Singapore and Malaysia is getting higher,” Mr Sutopo Nugroho, a spokesman at the agency, was quoted by AFP as saying. Earlier yesterday, Malaysia urged Indonesia to put out and prevent further land and forest fires in Central Sumatra that have been responsible for cross-border haze, the Malaysian media reported. Malaysia’s Natural Resources and Environment Minister G Palanivel said the Department of Environment’s director-general, Madam Halimah Hassan, had written to her counterpart in Indonesia. “The letter was to express Malaysia’s concern about the increase in the number of hot spots causing the haze in the peninsula since June 22,” he was quoted as saying in a statement on Tuesday. He said the Singapore-based ASEAN Specialised Meteorological Centre (ASMC) had reported that the number of hot spots in Sumatra rose from 129 on Monday to 143 on Tuesday. Meanwhile, 25 hot spots in Malaysia have been identified, with nearly half of them in Pahang. Other states such as Johor, Sarawak, Kedah, Kelantan, Malacca, Selangor, Perak and Penang also reported hot spots. “The hot spots will be investigated and appropriate action will be taken by the relevant authorities,” Mr Palanivel said. As of 9am yesterday, unhealthy Air Pollution Index readings were recorded in towns and areas such as Putrajaya, Banting, Port Klang, Shah Alam, Cheras, Nilai, Petaling Jaya and Batu Muda. Mr Palanivel said the air pollution was influenced by cross-border haze blown by the south-west monsoon and is likely to remain until September. He added that National Oceanic and Atmospheric Administration satellite images issued by the ASMC on Tuesday had shown moderate haze drifting from areas in Riau in Central Sumatra towards the central region and south-western coast of Peninsular Malaysia. 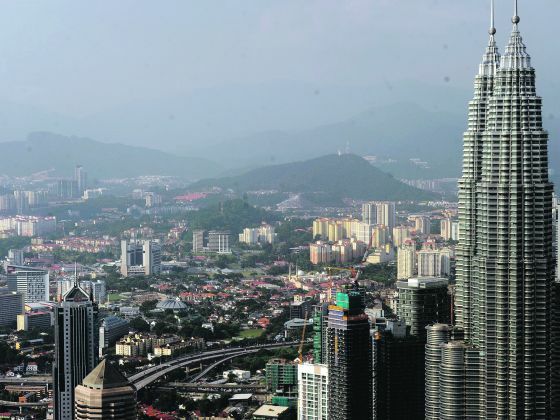 via Indonesia warns haze could reach S’pore, Malaysia as fires spike | TODAYonline.